The Smoant Battlestar is still one of the most compact and ergonomic dual-battery mods on the market, but if it’s just not small enough for you, the Chinese manufacturer has just released a mini version of its popular device, the Battlestar Mini. 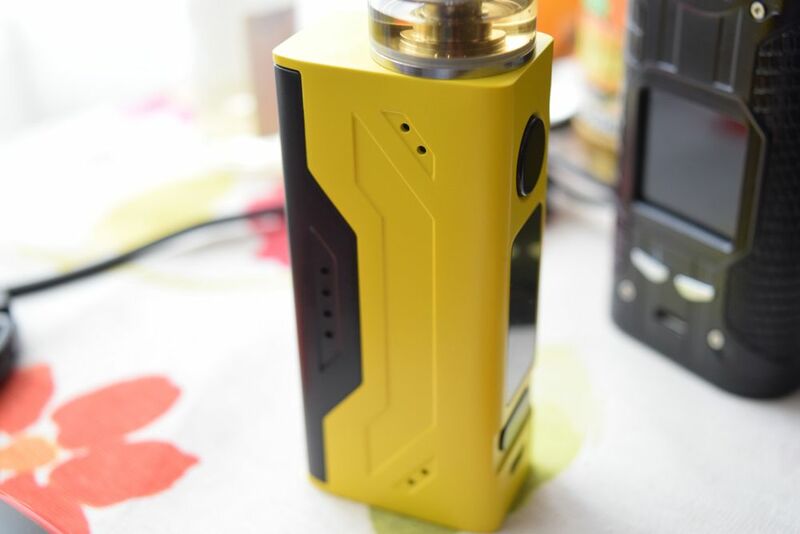 It only uses one 18650 battery and has a maximum power output of 80W, but comes with all the features that made the original Battlestar so popular. 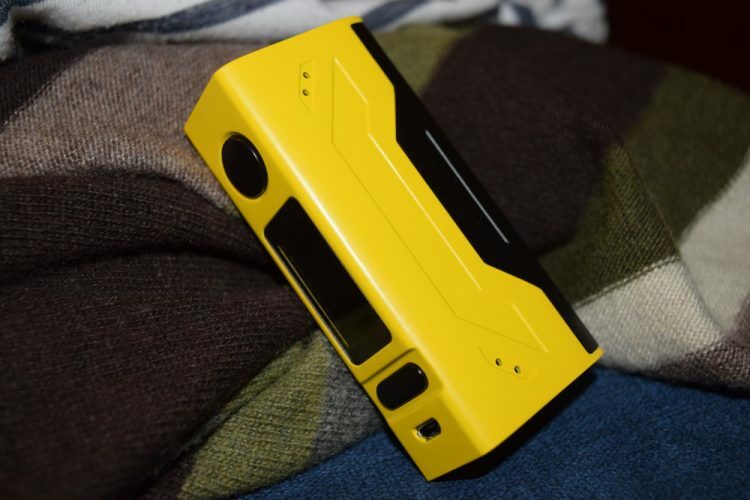 The Smoant Battlestar Mini comes in the same style packaging as the dual-battery Battlestar – a black and yellow cardboard box with a picture of the mod on the front and a list of contents, a scratch-and-check authenticity sticker and information about the manufacturer on the back. Inside the box, we have the Battlestar Mini sitting in a Styrofoam holder, a micro USB cable for on-board battery charging, a user manual, warranty card and a battery safety card. 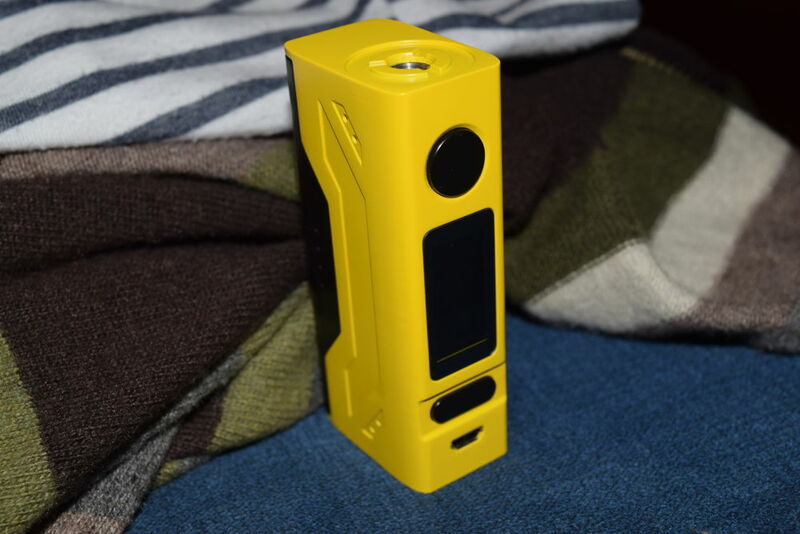 The Battlestar Mini mod does not share the unique rounded triangle shape of the original Smoant Battlestar. This time around, the Chinese manufacturer went for a classic rectangular design, while still integrating some elements from their popular dual-battery mod, like the black and yellow color scheme, the round power button, the “+” and “-” adjustment rocker, the same style vent holes and even the same 510 connection design. 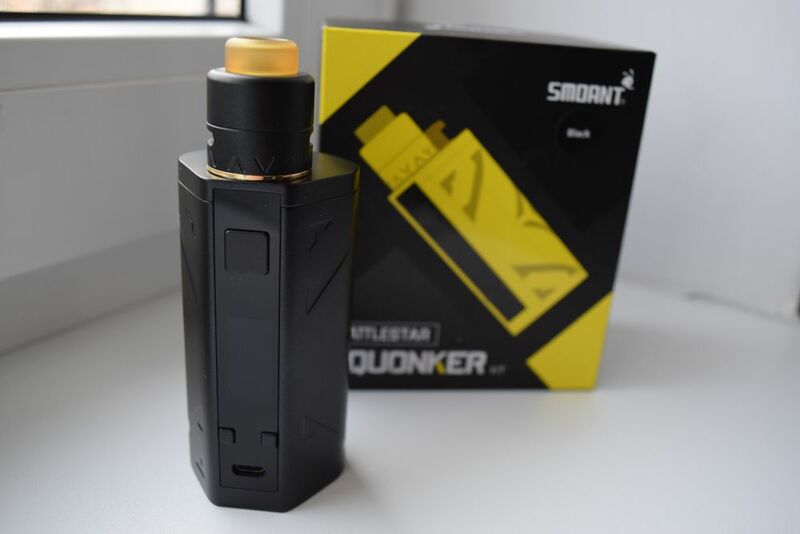 The Battlestar Mini may look more like the SMOK Quantum than the original Smoant Battlestar at first glance, but it won’t take long to identify all these little details reminiscent of its bigger brother. Made primarily of zinc alloy and measuring 81mm x 37mm x 24mm, the Smoant Battlestar Mini is a very compact device that still manages to accommodate atomizers up to 24mm in diameter without any overhang. With new mods like the Smoant Cylon able to fit 30mm attys without overhang, the Battlestar Mini may not seem very impressive, but keep in mind that this is a single-battery vaporizer. The Smoant Battlestar Mini features the same magnetic battery door as the original Battlestar, and I can confirm that it is just as sturdy. Once it snaps into place, it won’t come off unless you pull it off yourself, or if you drop it from a considerable height, which I definitely don’t recommend you do. 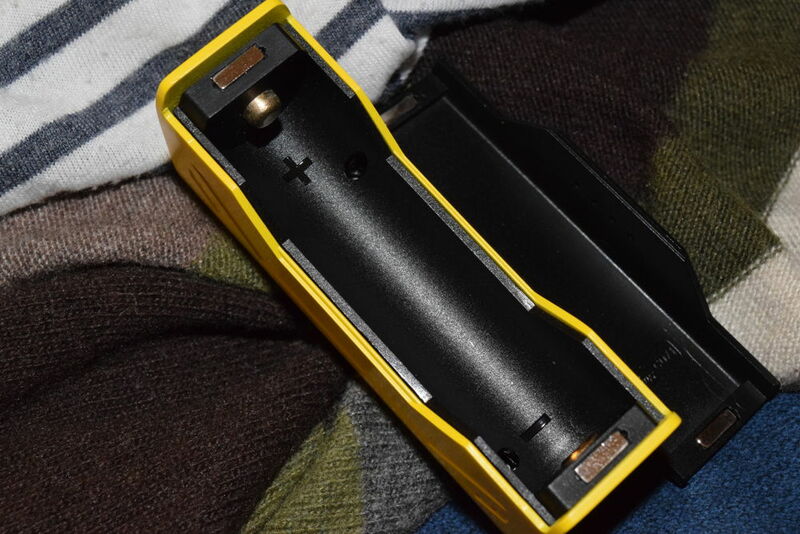 The battery compartment has clear polarity markings, and even though it doesn’t feature a ribbon to make removing the battery easier, the cutouts on the side of the mod allow you to firmly grab the battery with your fingers. I would have liked to see some insulation on the back of the battery door, to prevent it making direct contact with the battery, just in case it has a damaged wrapper, but you shouldn’t be using damaged batteries anyway. As I mentioned above, the Battlestar Mini features the same style buttons as the dual-battery Smoant Battlestar. They are just as clicky and firm this time around, so you needn’t worry about any annoying button rattle. The 0.96-inch OLED display is definitely an improvement over that of the original Battlestar. The resolution is considerably higher, the brightness is just right and there is a lot more information on the home screen this time around. The size of the display is also really impressive for such a compact mod. 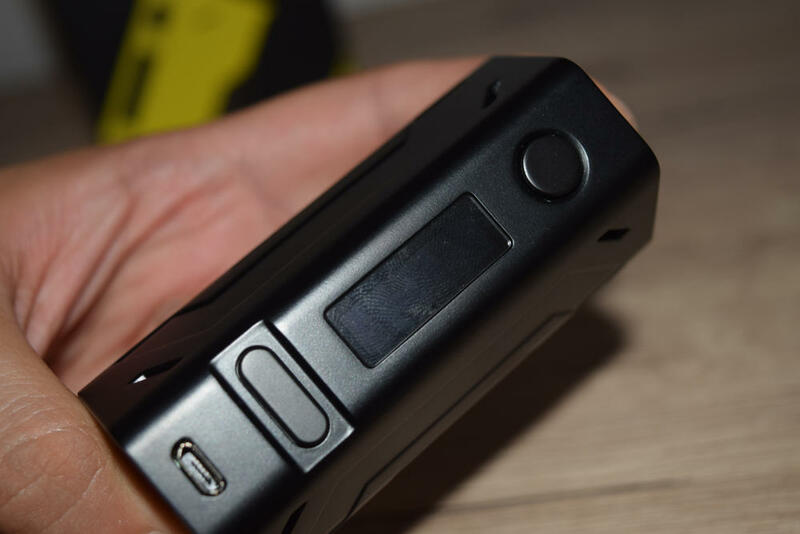 Even though the Battlestar Mini is clearly powered by a newer version of Smoant’s proprietary Ant chip, the menu system and navigation are very similar to that of the dual-battery Battlestar. To access the menu, all you have to do is press the fire button three times in rapid succession. You will then see the “mode” icon in the top left corner of the display start to blink. By using the “+” and “-” rocker, you can browse through all the available modes. You can choose between VW (wattage mode), DVW (custom curves), temperature control for stainless steel, titanium and nickel, TCR and Bypass. The latter basically turns the Battlestar Mini into a mechanical mod, firing the battery with the maximum amount of wattage currently available. The DVW mode is definitely the most interesting feature of the Battlestar Mini. 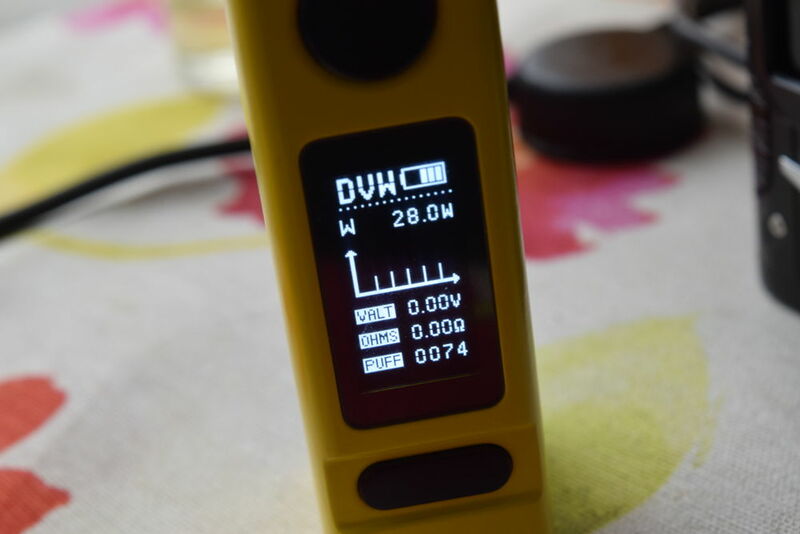 It allows users to set custom wattage curves for a maximum of 10 seconds of their vape. Most of us can barely draw for more than 5 seconds, so 10 is more than enough for the vast majority of vapers. But what really sets this mode apart from other curve modes I’ve tested in the past is that it allows you to adjust the time as well. The Battlestar Mini only has 5 adjustable curves, but you can set each one to remain active from 0.5 seconds to 2 seconds. This way, even if you can’t draw for more than 3 seconds, you can still go through 5 different wattage levels by making the intervals very short. The same goes for longer draws. I think that’s a really nice feature that other developers may adopt in the near future simply because it adds an extra layer of customization. Another cool feature is the “Auto” wattage setting for temperature control. 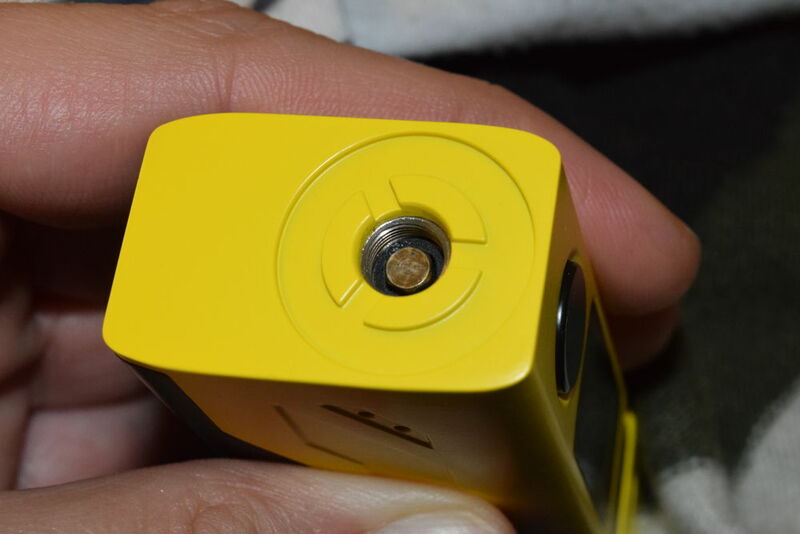 You can set the desired wattage manually, but you don’t have an idea of what the right wattage should be, you can just set it to Auto, and the mod will adjust the power output to match the resistance of the coil. 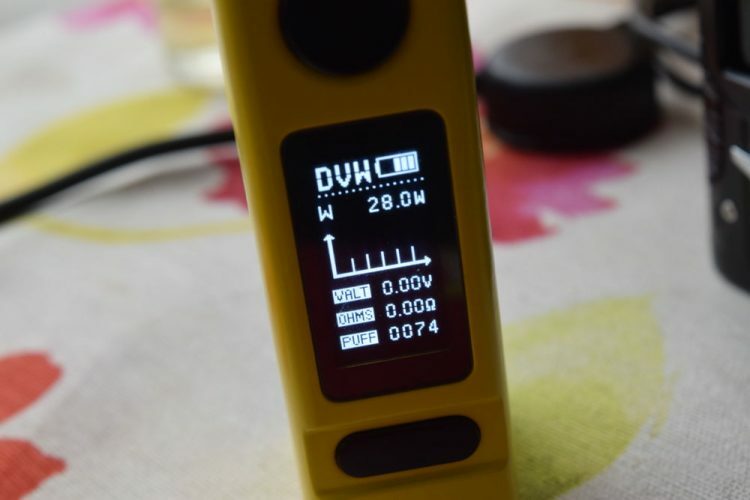 Navigating through the menu of the Smoant Battlestar Mini is generally very easy, but some features, like DVW do require a few button combinations. Luckily, the user manual does a good job of explaining them so don’t throw it away. 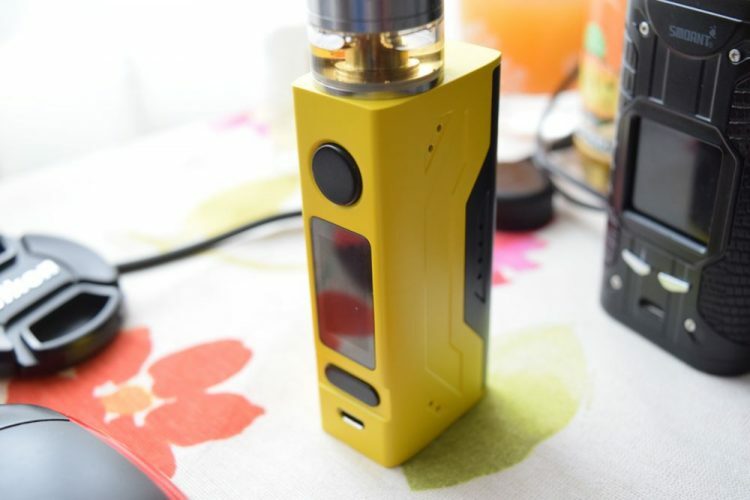 The Battlestar Mini is a single 18650 device, so you really can’t expect too much battery life out of it, especially if you plan on using it at high wattage (60W – 80W). It’s great as a backup device, and it’s great when you’re on the go, but if you’re a heavy vaper like yours truly, it’s definitely not going to last you a whole day. At the very least, I recommend getting an extra battery. 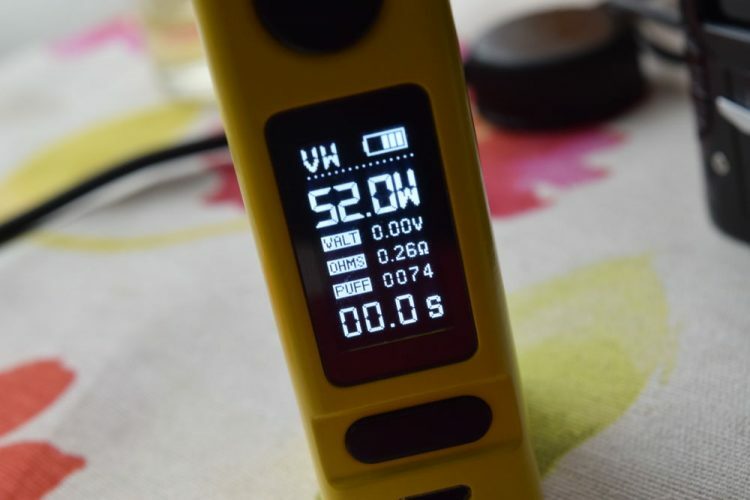 Another thing you should know about Smoant mods is that they don’t drain batteries as low as most other devices, so you’re likely to get the “low battery” warning faster than usual. That doesn’t mean that your mod is depleting the battery faster, it’s just that Smoant are a bit more conservative with how low they allow the batteries to be drained. Think of it as an extra safety feature. 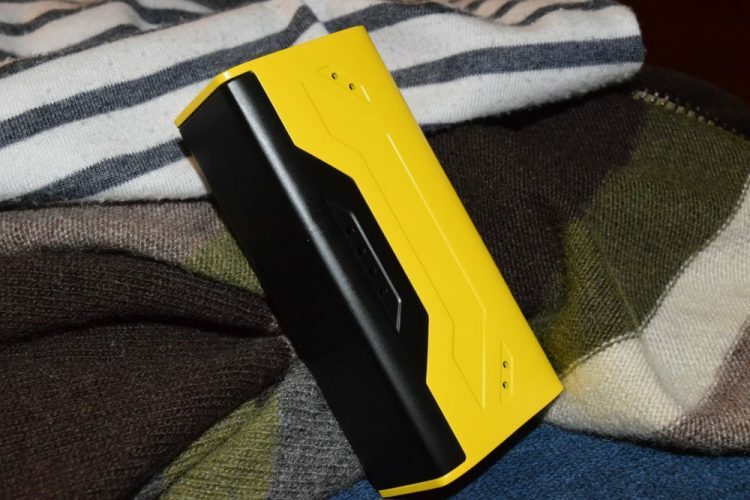 After reading the above paragraphs, you may be left with the idea that the Smoant Battlestar Mini has poor battery life, which is definitely NOT the case. It’s just that after using dual-battery, triple-battery and even quadruple-battery devices for some long, I just don’t appreciate single-battery mods the way I used to. But if you’re willing to sacrifice battery life for portability and ergonomics, you’re probably going to love this device. In terms of performance, the Mini is a worthy successor of the original Smoant Battlestar. The power output feels very accurate both in wattage and temperature control, the buttons are just as responsive, and I’ve experienced no errors in the two weeks I’ve been testing it for. One thing I’ve noticed, though, is that while the Battlestar Mini doesn’t fire quite as fast as the new Smoant Cylon. 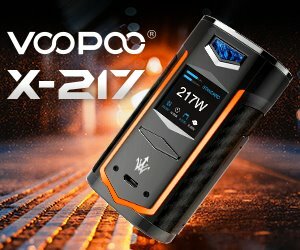 It’s about as fast as the dual-battery Battlestar, which used to seem lightning-fast, but these latest chips, like the Ant218 V2, and whatever is powering the Wismec Ravage230, are just ridiculously fast. So, to clarify, the Battlestar Mini fires almost instantly, but there are devices out there that are even faster. 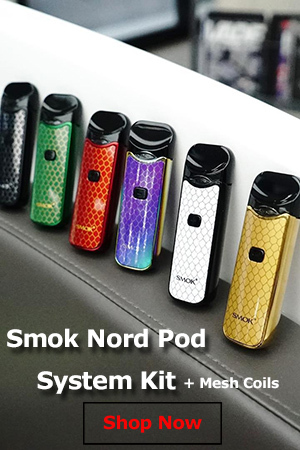 The Smoant Battlestar is another great vaping device from a manufacturer that, in the relatively short time it’s been in the industry, has gained a reputation for producing high-quality products. It’s definitely not the most advanced mod on the market right now, but it wasn’t designed to be. This is just a very portable single-battery device that’s very comfortable in the hand and doesn’t take up a lot of space in your pocket. If you’re in the market for something like that, it is definitely worth your money.